Earlier this year, the WKCF received a $1.8M legacy gift, the largest in its 22-year history. A portion of the gift is allocated to provide permanent support for high school students in Grant County. The Anna and May Rosel Scholarship Fund, now established within the Western Kansas Community Foundation, will help educate young people for generations to come. Who were the donors who left this generous gift? Anna and her daughter May Rosel lived in Ulysses, KS most of their lives where they owned a family clothing store. The store opened in Ulysses in 1928 in a brick building owned by C.D. Hickock, one of the early settlers of the town. 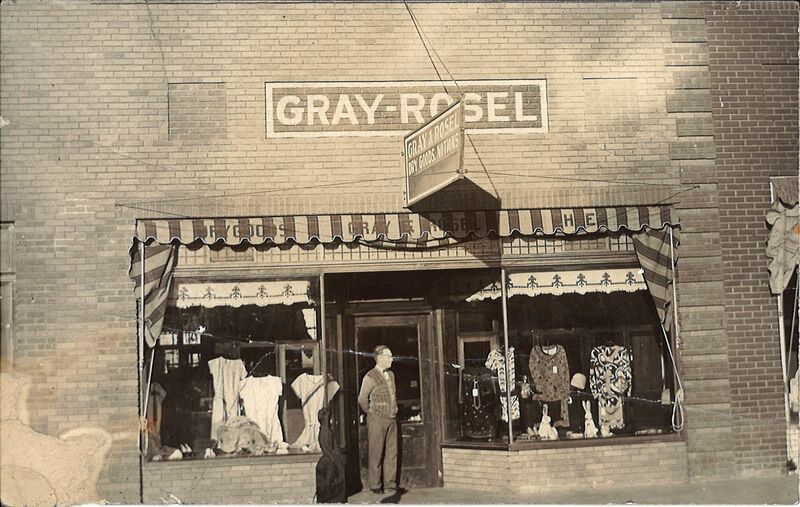 The store was simply known as “Gray & Rosel,” a reference to Anna Rosel and her husband, Ted Gray. Ted died in 1941, the year the store was moved to a new building on Main Street. Anna continued to operate the store for nearly 40 years before turning the management over to her daughter, May. At age 95, she continued to keep tabs on the store’s inventory, making sure every penny was accounted for. Gray & Rosel, Hickok Building, Ulysses, KS. Anna Rosel was born in 1885 in Bedford Co. Virginia. When she was one years old, her parents moved the family to Haskell County, KS to find work. They lived in a half-dugout, dug about 4 ft. underground and about 4 ft. above ground. Anna and her brother attended a country school about half-mile from home. Later she would teach school in Stevens Country. There were five children in her school who she taught everything from reading, writing, arithmetic to history. But Anna’s future was not in education. She quit teaching school to attend business colleges in Great Bend and Kansas City. Upon her return she worked various jobs that prepared her well for a business career of her own. She worked as a legal secretary in Guymon, OK and served as the postmistress in Moscow, KS where she would meet her husband, Ted. Later she held jobs at Hickock’s realty office and the Grant County State Bank, both in Ulysses. Anna and Ted married in 1916. For four years, they homesteaded on a farm in southeast Grant County. In 1920, the Rosels moved to Moscow where they entered business with Ted’s parents. They soon bought out the parents’ share and moved the store to Ulysses. 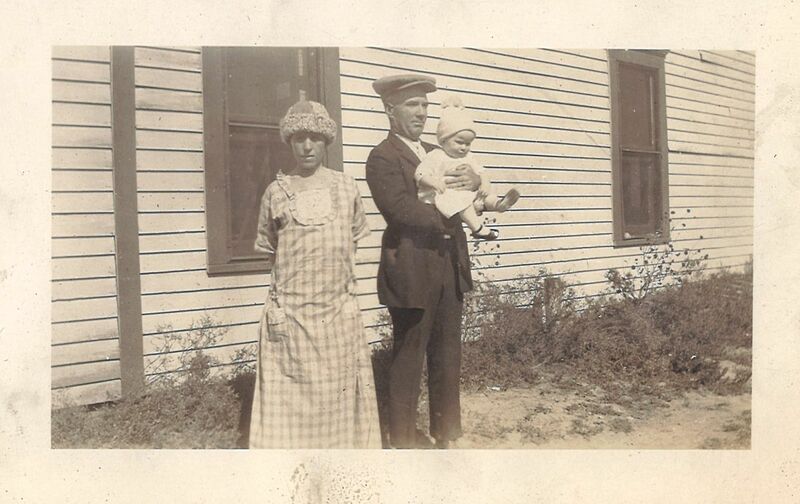 Anna and Ted Rosel with their daughter, May, Ulysses, KS. 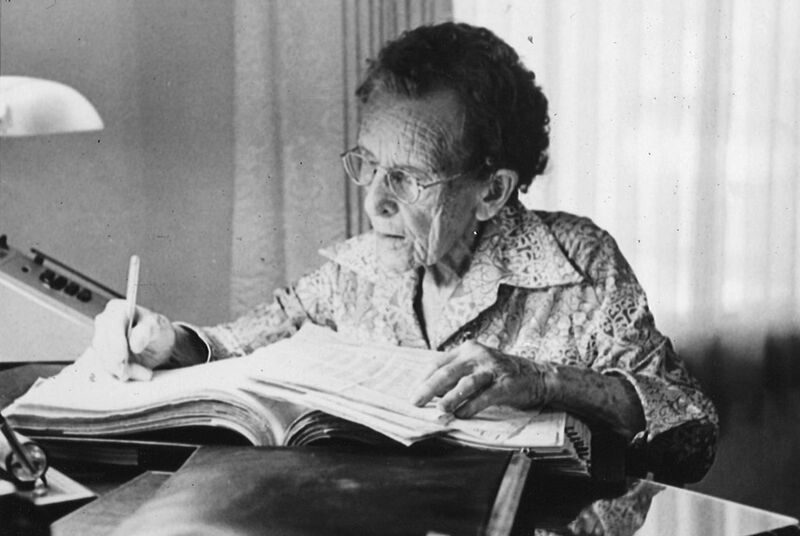 When she was 99, Anna was interviewed for The Ulysses News. She cited the hardship of the pioneer-days in Kansas as one reason why, at a time when very few women went to college or entered the business world, she did both. Her daughter May, who lived with her mother most of her life, offered a slightly different perspective. In addition to her mother’s desire to earn a living, she knew that her mother had to cope with a physical handicap. A childhood injury left her mother with a lifelong disability which made her unfit for working on the farm. This may well have been the reason why Anna’s parents encouraged their daughter to attend business school and learn a trade. Anna Rosel, doing bookwork for the store. The legacy gift came as a complete surprise to the WKCF. There was no communication with the donors at the time when the trust was created. Yet, Anna and her daughter May clearly wanted to keep their money local and knew the WKCF could do that for them. The desire to give back to their community inspired them to set up a trust that included a stipulation for a scholarship fund. Anna Rosel knew first-hand the importance of education, especially when life offers fewer opportunities to be successful. By setting up the Anna and May Rosel Trust and Scholarship Fund the donors made a commitment at the end of their lives, ensuring their community will continue to thrive long after they’re gone. Thanks to Mrs. Ginger Anthony, Executive Director of the Historic Adobe Museum in Ulysses, KS, for generously providing the source materials that were used for this article.